This battleship was ordered in 1940 and served in WWII and the Korean War. After a long retirement, the ship made a reappearance during Reagan's presidency, made ready for any necessary action in the contentious Cold War. 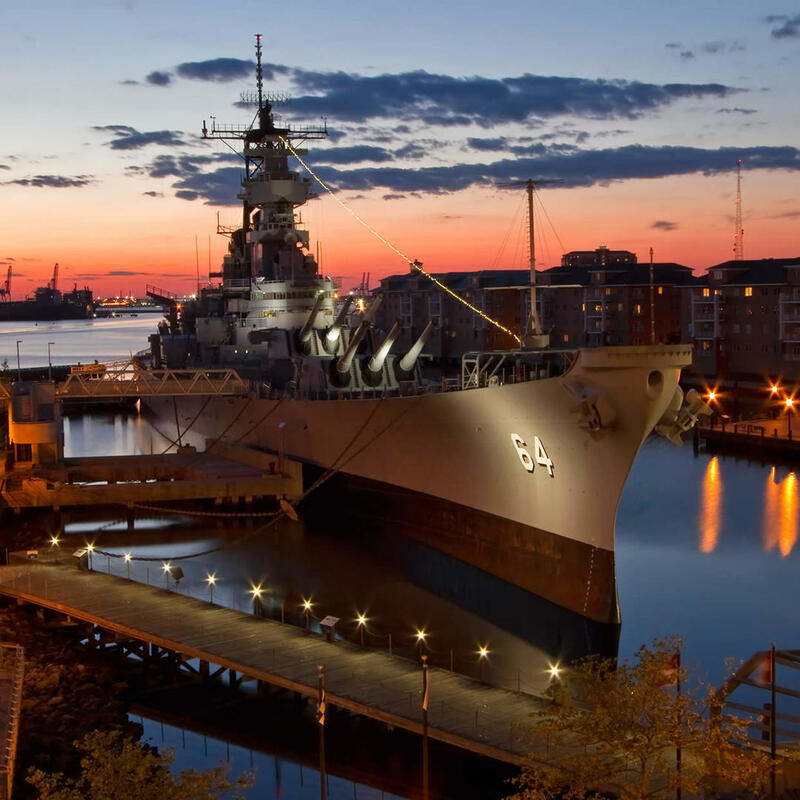 Her last tour of duty before becoming a museum ship was to serve in the Gulf War of 1991 whose show of artillery persuaded many Iraqi soldiers to immediately surrender and is currently the last battleship in a war.